Christian Doerner completed his study of information systems at the University of Siegen in 2006. During his study he spent one term at the Hoegskolan i Skoevde (Sweden). During his diploma thesis he was employed at SAP AG (Walldorf) for 6 month and developed automatic security tests for Java programs. Afterwards he became a research associate at the University of Siegen at the chair of Prof. Wulf (Information Systems and New Media). He worked in the research project EUDISMES and developed new End User Development techniques for small and medium sized enterprises. 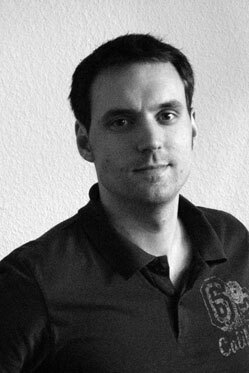 He finished his PhD on tailorable Software Infrastructures in 2009 and received a Feodor Lynen Research Fellowship from the Alexander von Humboldt foundation. Hofmann, Markus: Softwareanpassungen mittels der Box-and-Wire-Metapher. Department for Information Systems, University of Siegen. Diploma Thesis. 2008. The thesis was awarded by the "Theseus Talente 2008" competition of the German Federal Ministry for Economy and Technology. Doerner C, Pipek, V.: CoCoS-EUD: Context-based Collaboration Support for End User Development. In CHI 2010 Workshop Context-Adaptive Interaction for Collaborative Work, Atlanta, GA.
Doerner, Christian: End User Development in Service Oriented Architectures. Doctoral Consortium, ECIS 2007, St. Gallen, Switzerland. 2007. Doerner, Christian: Entwicklung eines automatisierten Tools fuer Software-Sicherheitsanalysen. Department of Computer Science, University of Siegen/SAP AG. Diploma Thesis. 2006. QuickSearch: Number of matching entries: 0. Abstract: One of the challenges end-users face in order to maintain and enhance their IT infrastructures is the simplicity and ease of use of the configuration/design-time interfaces. In this paper we describe our approach of using existing technologies for paper-based interfaces to allow end-users to orchestrate services in a Service-Oriented Architecture (SOA). We gathered first experiences with paper-based interfaces for IT configuration by developing an end-user-developable paper-based remote interface for interactive TV applications. Further we conducted a workshop to evaluate how end-user can orchestrate services. Here, we discuss the usefulness of a paper-based interface for the orchestration of services, from an end-user perspective and how the experiences from our prototype and the workshop can inform the design of a paper-based orchestration prototype for SOA. Abstract: The "bazaar" metaphor has developed a lasting popularity in software engineering, especially as software architectures have evolved from monoliths to service orientation. Nevertheless, the metaphor is limited because it doesn't consider end users, those who develop software for themselves. Introducing such an end user, the "prosumer," to the bazaar not only suggests a changing division of work in software development but also calls for different functionality and architectural choices. The authors evaluated changing software architectures from an end-user development (EUD) perspective, taking the case of enterprise resource planning (ERP) systems as traditionally monolithically designed systems moving toward service orientation. On the basis of the study's findings, which indicated problems with the systems' technical flexibility, the authors developed a tool set for fostering EUD activities. Their new architecture for ERP systems enables end users to create their own solutions. Abstract: In this paper we present a new variation of cultural probes, called Infrastructure Probes (IP). IPs can be seen as an additional ethnographic method to get a deeper understanding of the userís working context and thus help to improve the collaboration between users and developers regarding requirements elicitation. They consist of a screenshot tool, a digital camera, Post-itís, forms, an IT diary and a writing pad, allowing end users to observe and document their use of the IT infrastructure in question with special emphasis on problematic situations. The results of a first evaluation of the concept show that IPs could supplement traditional ethnographic methods to give researchers as well as software engineers a deeper insight into the working habits of users, but could also be a means for users to document and exchange technology usages. For a reflection of the IP concept we conducted feedback workshops together with the participants of the evaluation. The feedback resulted in an improved version which is currently already under evaluation. Abstract: This paper presents a case study in which we identified problems end users have with their software systems, how they try to solve these problems and if they cooperate with each other during this process. The case study is part of a bigger research project, in which we develop appropriate end user development tools for enterprise resource planning systems. We have made several interviews with employees of small and medium sized enterprises from different industries during our case study. The results are valuable for improving the quality of information systems by making them more corresponding to users requirements. This aim could be achieved by end user development techniques allowing end users to adapt systems during use time. Abstract: In this paper we present a context adaptation framework for applications that are adaptable by end users. The framework is based on an innovative context model which uses a combinationof automatically discovered and manually entered data to describe a certain context. The advantages of this data combination are that the context description gets more precisely and that end users have an increased control of the context model as they can change some of its information. We will describe the enhancement of workflow and Web service descriptions by context information as an illustrative example for using the context adaptation framework. Abstract: This article describes the need of small and medium-sized enterprises for adaptation. We present some concepts of end user development that could help companies realize the adaptation of their software systems. Moreover, we outline all persons who are involved in the adaptation process in these companies and how the division of labour is realized. We support our thesis with the empirical findings of one of our studies. Abstract: Service Oriented Architectures (SOA) evolved as an important architectural concept in software engineering. Although the services of an SOA are loosely coupled and reusable, there have been few considerations of SOA in terms of End User Development (EUD). In this paper we will analyze the potential of SOA for the development of adaptable systems and propose challenges, which have to be solved to reach this goal. Our analysis is based on empirical studies and on requirements for EUD systems, taken from earlier research. If SOAs are extended with structures for in-use-modifications (even beyond software technologies), it will be possible to design a new generation of user-adaptable systems. Abstract: This paper presents an innovative approach to solve the problem of missing transparency of competencies within virtual organizations. We based our work on empirical studies to cope with the problem of competence finding in distributed organizations. Former studies have shown that central storage of expertise profiles is inappropriate due to missing flexibility and high costs of maintenance. The focus of our approach is to support peripheral awareness to become aware of the available competences in organizations. Our approach runs along two lines: making expertise-related communication visible for all members of an organization and visualizing competence-indicating events in collaboration infrastructures. We verified this approach by the evaluation of a prototypical implementation. Abstract: Die Dynamiken der weltweiten Absatzm‰rkte wirken sich direkt auf Anforderungen an IT-Systeme in Unternehmen aus und erfordern zunehmend flexiblere Softwaresysteme. Bislang werden unseres Erachtens insbesondere die speziellen Bed¸rfnisse kleiner und mittelst‰ndischer Unternehmen noch nicht ausreichend ber¸cksichtigt. Eine zum Thema Anpassbarkeit durchgef¸hrte Interviewstudie in f¸nf kleinen und mittelst‰ndischen Unternehmen brachte Erkenntnisse ¸ber deren Anpassungspraxis. Die Anwender passen ihre Software an, soweit es ihnen mˆglich ist, fordern jedoch zus‰tzliche, weitergehende Anpassungsmˆglichkeiten, um neben Anpassungen an der Benutzeroberfl‰che auch funktionale Probleme und Interoperabilit‰tsprobleme lˆsen zu kˆnnen. Die Systeme m¸ssen daher um geeignete Anpassungsmechanismen erweitert werden, die auf diesen Bedarf zugeschnitten sind und Anpassungen von miteinander interagierenden Systemen ermˆglichen. Abstract: Supporting end users to adapt business processes is rather uncommon in the context of large Enterprise Resource Planning systems. We present our new business process modeling environment, called SiSO, that enables business process experts to model and adapt business processes. SiSO enhances the descriptions of services that are provided by Service-Oriented Architectures. These enhanced descriptions focus on organizational-specific information, which makes it easier for business process experts to understand the capabilities of services in their organizational context. The information includes descriptions of servicesí functions, ratings, and keywords. SiSOís graphical user interface employs the box-and-wire UI design technique to enable business process experts to model business processes in the context of Enterprise Resource Planning systems. SiSO was qualitatively evaluated with six employees of three different companies and found useful in two application fields: (a) the visualization and automation of business processes and (b) the creation of calculations using data from different systems and sources. We think that enabling business process experts to create individual business processes is an important challenge for the design of future Enterprise Resource Planning systems. untersucht werden. Das Auffinden und Verstehen von Services sowie die endbenutzergerechte Abbildung von Gesch‰ftsprozessen stehen im Mittelpunkt der Betrachtung. Die im Rahmen der Untersuchung festgestellten Unzul‰nglichkeiten stellen die Grundlage f¸r die Entwicklung der End User Service Orchestration Platform (EUSOP) dar, die in diesem Aufsatz vorgestellt wird. Abstract: Delivering the right information at the right time to the right persons is one of the most important requirements of today's business world. Business users have to deal with changing information needs, but suffer from their inability of adapting the used information systems to support their changing needs. Enterprise Resource Planning (ERP) systems, which act as the main source of information in many enterprises, are still too complex to be adapted to current information needs and working practises by business users themselves. Business users face considerable challenges when trying to use tools to create individual information artefacts to support and facilitate their working tasks. Targeted at improving the design of such tools, we started our design process with a qualitative empirical study, presented in this paper. The study discloses main problem areas business users face and identifies design challenges from an End User Development (EUD) point of view. The study was conducted as a combination of semi-structured interviews and a participatory design workshop, which were analysed to derive design constraints for EUD tools. Abstract: Acknowledging the competition in today's global markets demands enterprises to be resilient in order to survive. Therefore product life cycles shorten and new customer segments have to be addressed permanently. Obviously, such environments require flexible information systems, which can be adapted quickly to the enterprises' changing needs, without spending vast amounts of resources. Using End User Development (EUD) approaches can help to solve this dilemma by enabling software developers to create information systems that can even be adapted by technically inexperienced end users. This reduces time and costs needed for adaptations and increases their quality by avoiding potential misunderstandings between business users and IT experts. This paper presents a broad overview of existing EUD approaches. Based on this, it provides recommendations, how EUD design principles can be used conjointly, to develop embedded design environments for end users. We describe and classify EUD approaches taken from the literature, which are suitable approaches for different groups of end users. Implementing the right mixture of EUD approaches leads to embedded design environments, having a gentle slope of complexity. Such environments enable differently skilled end users to perform system adaptations on their own. Abstract: Modern software systems should to a conside- rable extend be adaptable to the new or changing practices during their usage. Besides the required technical flexibility of software systems and the existence of adaptation interfaces Ñadap-tation cultureì is an essential characteristic of a suc- cessful adaptation support. This paper presents the results of a qualita-tive-empirical study in five small and medium-sized companies. The study aimed at understanding the effects of different adaptation tools and their contribution to the esta- blishment of an Ñadaptation cultureì. The interpretation of the results from the perspective of the technology acceptance research indicates which measures should be taken in com- panies, in order to facilitate or promote the acceptance and adoption of innovative technologies. Most of the interviewees regarded the lack of time and of knowledge as barriers for the use of adaptation support tools. Created by JabRef on 13/06/2011.